Lease for $556/month for 36 months with $4,754 due at signing and 10,000 miles per year. Payment expires on 04/30/19. Estimated Lease payment based on 36 months and $4,754 due at lease signing. Excludes title, taxes, registration, and license fees. Mileage charge of $0.25 per mile over 10,000 miles. Not all consumers will qualify. Residency restrictions may apply. Lease for $559/month for 36 months with $4,774 due at signing and 10,000 miles per year. Payment expires on 04/30/19. Estimated Lease payment based on 36 months and $4,774 due at lease signing. Excludes title, taxes, registration, and license fees. Mileage charge of $0.25 per mile over 10,000 miles. Not all consumers will qualify. Residency restrictions may apply. Lease for $707/month for 36 months with $5,195 due at signing and 10,000 miles per year. Payment expires on 04/30/19. Estimated Lease payment based on 36 months and $5,195 due at lease signing. Excludes title, taxes, registration, and license fees. Mileage charge of $0.25 per mile over 10,000 miles. Not all consumers will qualify. Residency restrictions may apply. Lease for $926/month for 36 months with $6,542 due at signing and 10,000 miles per year. Payment expires on 04/30/19. Estimated Lease payment based on 36 months and $6,542 due at lease signing. Excludes title, taxes, registration, and license fees. Mileage charge of $0.25 per mile over 10,000 miles. Not all consumers will qualify. Residency restrictions may apply. Lease for $930/month for 36 months with $5,904 due at signing and 10,000 miles per year. Payment expires on 04/30/19. Estimated Lease payment based on 36 months and $5,904 due at lease signing. Excludes title, taxes, registration, and license fees. Mileage charge of $0.25 per mile over 10,000 miles. Not all consumers will qualify. Residency restrictions may apply. One of the oldest vehicle in the clan of full-size SUVs, the new GMC Yukon XL still holds strong as a favorite with drivers across America. We can testify this vehicles ability in being one where finesse meets endurance, providing comfort and control. It offers seating for up to nine and these seats are reconfigurable, providing an array of passenger and cargo arrangements to equip your needs. It comes loaded with safety and infotainment options to complete the ultimate package. 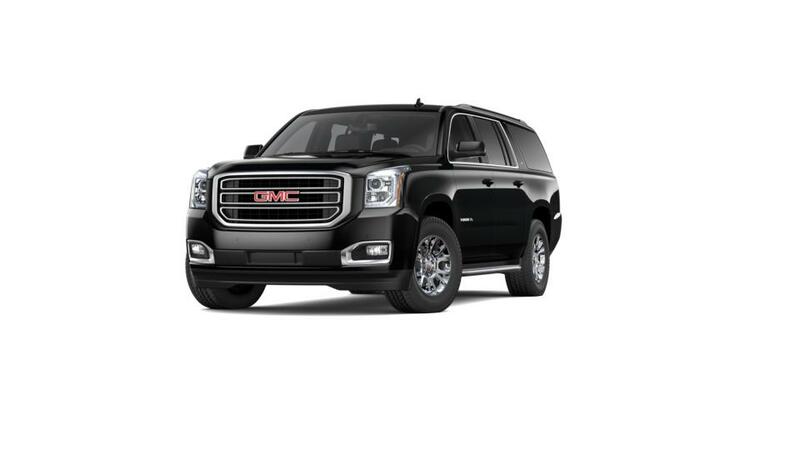 At our Trevose dealership, we are glad to hold an extensive inventory of the new GMC Yukon XL. To view the same, browse online, or drop by in person.